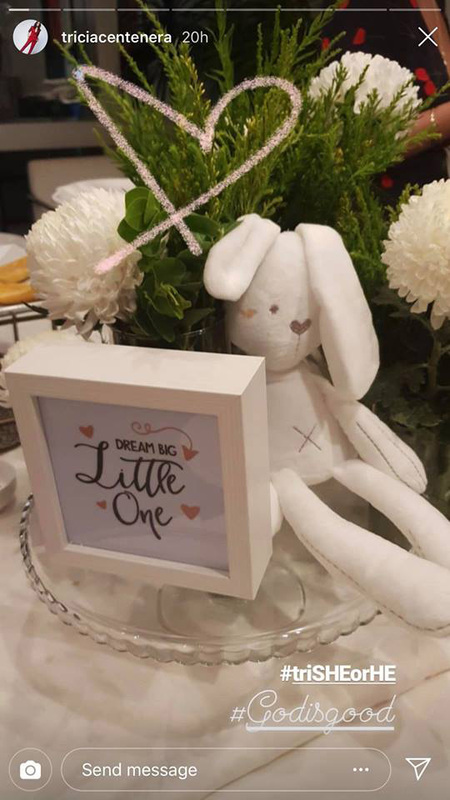 Tricia Centenera and non-showbiz boyfriend Duane Santos announced that they are expecting a baby girl during a gender reveal party held on Saturday, June 30. 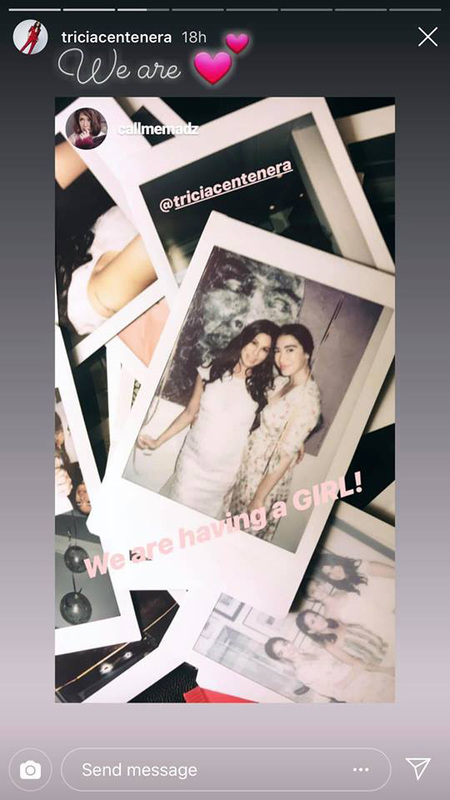 Fil-Australian blogger-host Tricia Centenera revealed earlier today, July 1, that she's pregnant. The estranged wife of actor-dancer Gab Valenciano uploaded a photo of her growing baby bump on Instagram and captioned it with a prayer. She wrote, "Dear heavenly Father, I pray right now for love for my baby growing inside of me. Jesus, fill my child with Your Agape love throughout her entire life. Please, give her a heart that overflows with love for You and for others. "Keep my child from loving the things of this world, such as money, immorality or even other people, more than my child loves You. I pray that my child will be a kind, compassionate and a loving person to all she meets. "And I pray that my child will show love to her enemies, as well as to her friends. "Jesus, please help me & my dear partner to teach my child that love is patient and love is kind. It does not envy, it does not boast, it is not proud. "It does not dishonor others, it is not self-seeking, it is not easily angered, and it keeps no record of wrongs. Love does not delight in evil, but rejoices with the truth. It always protects, always trusts, always hopes, and always perseveres. Love never fails. "Prince of Peace, thank You for loving my child with Your selfless, sacrificial, undeniable, unfailing, and unconditional love which You humbly and freely give to each of us. "In Your loving name I pray, Amen." Tricia is happily in a relationship with her non-showbiz boyfriend, Duane Santos, a former law practitioner-turned-real estate developer. In a previous interview with PEP.ph (Philippine Entertainment Portal), Tricia revealed that they have been together since the end of 2017. She said, "My love life is great. I have a wonderful boyfriend, we’ve been dating since the end of last year. 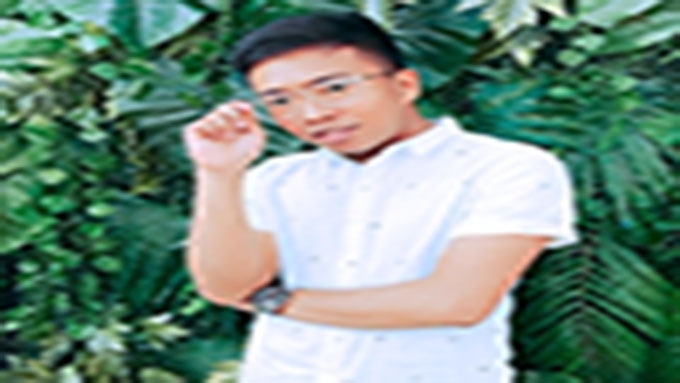 "He’s a Filipino. He is a real-estate developer and a lawyer. He’s non-showbiz." She continued, "My boyfriend now, he’s 51 years old. He’s very secured, he’s very matured. "He was married 15 years, and they separated seven years ago and they’re friends. "He has a 13-year old daughter. I’ve met his daughter many, many times." During their gender reveal party yesterday, June 30, the couple revealed that they will be having a baby girl. 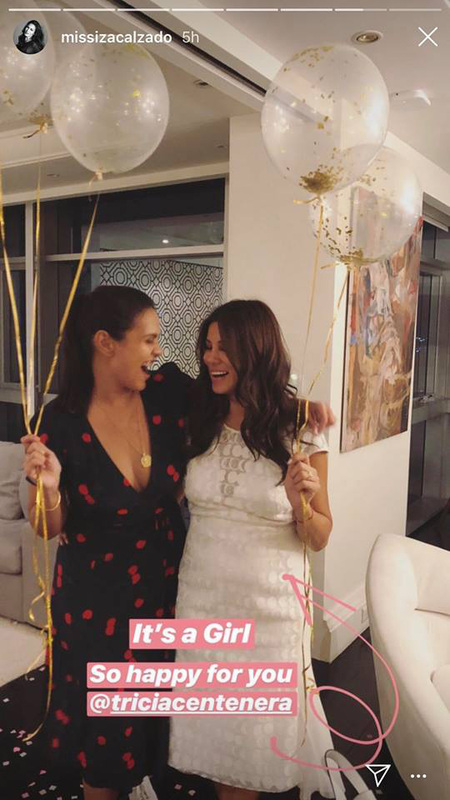 Actress Carla Humphries confirmed it as well on her Instagram stories and wrote, "We're having a girl!" Iza Calzado also congratulated Tricia on her pregnancy.